The paper presents the advancements in our work on 3D visualization for GIS. In (Gold et al 2004) we presented the idea of a dynamic GIS system that uses 3D graphics for data visualization. The system presented there – the Marine GIS – was at a preliminary stage, and was built mainly to show the potential of 3D gaming approach for GIS. Our work since then allowed us for much clearer, better and more comprehensive understanding of the needs and requirements for such a system, and consequently of the appropriate system design, together with additional real-life experience. During the implementation work we encountered many problems that we would not have expected before. 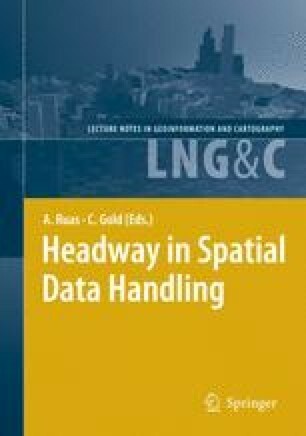 This paper is a report of the process of the implementation of a real-time, dynamic 3D GIS for maritime purposes, and includes the final requirements, system design, description of some of the problems and the ways used to solve them. We believe that by sharing our experience we can help other researchers working towards building 3D GIS systems and tools, and that it is a contribution towards the future development of GIS.